The Straz Center’s Patel Conservatory will host auditions for upcoming classes for the 2014/2015 season. This performance-based program allows students to put into practice the skills they learn in the classroom. The program culminates in a ticketed performance of this whimsical musical, written by brothers Robert (music) and Willie Reale (book and lyrics), based on the Frog and Toad children's stories. Auditions will be Mon., Aug. 25 and Tues., Aug. 26 from 5 to 8 p.m.
Orchestra, chamber and jazz musicians, and vocalists, hone their skills and gain vaulable ensemble experience. 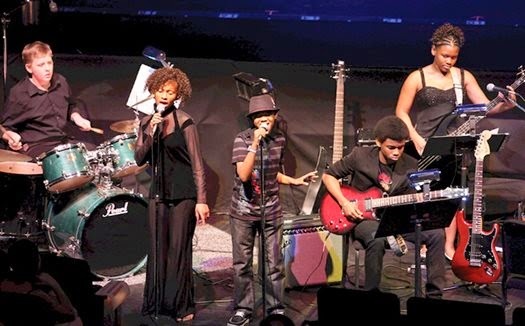 Students are placed in bands according to age and skill level, and weekly rehearsals culminate in a fully-produced Rock School Blowout concert. Auditions will be Tues., Sept. 2 and Wed., Sept. 3 from 5 to 8 p.m.
For more information, or to RSVP for an audition, please call 813.222.1002.